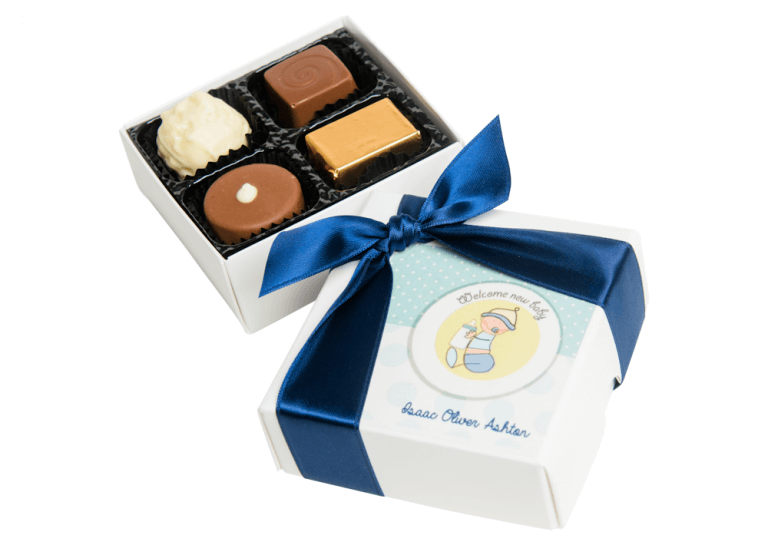 Welcome your new addition to the world in style with our exclusive range of personalised luxury chocolates. 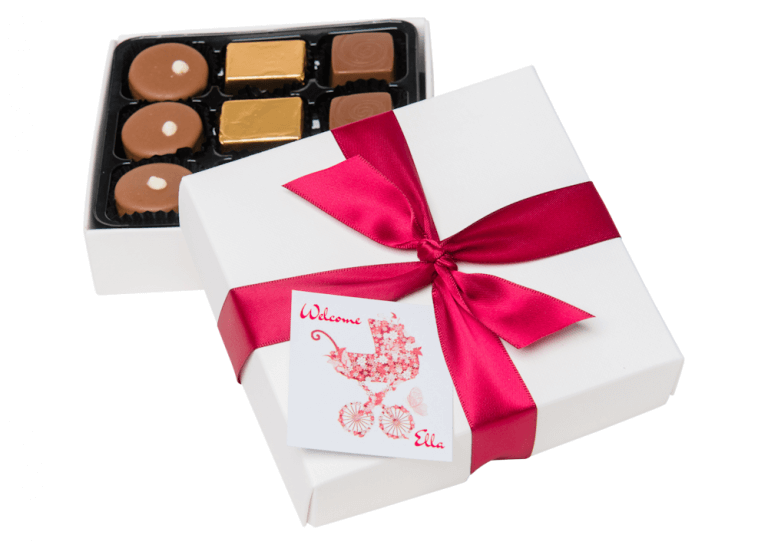 Choose your box size and we’ll add your message or greeting to announce the new arrival. We can even print an image of the new baby on to a high quality gift card and complement each gift with a stunning satin ribbon. We’ll help create the box artwork too, and send you a choice of layouts to select from. No artwork? No problem! 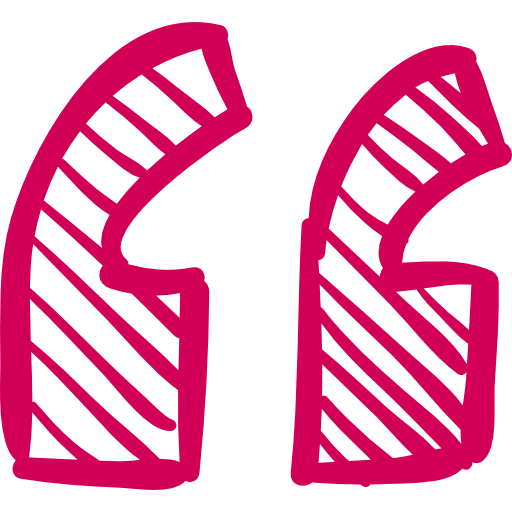 We’ll create it for you then send you a choice of layouts to choose from before confirming your order. 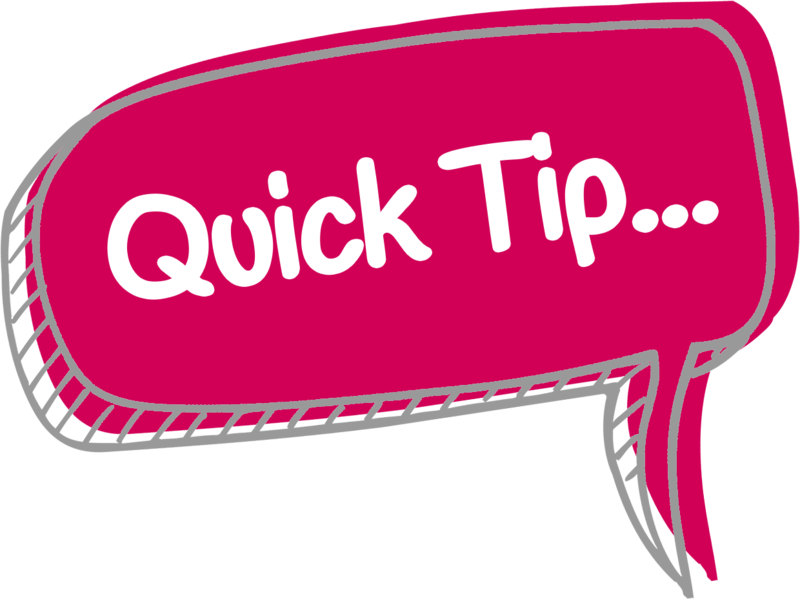 Standard lead time is two to four weeks but if you need your gifts sooner, get in touch, and we’ll do our best to help! For fewer than 10 gifts please visit our retail site at www.chouchoute.co.uk. 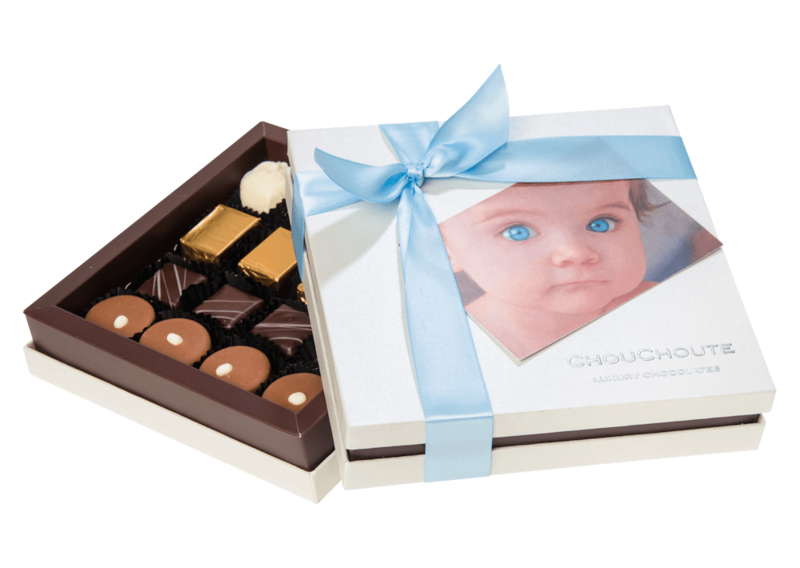 Choose from black or white boxes, or our luxury Chouchoute-branded box range. Alcohol-free gift options are available on request. 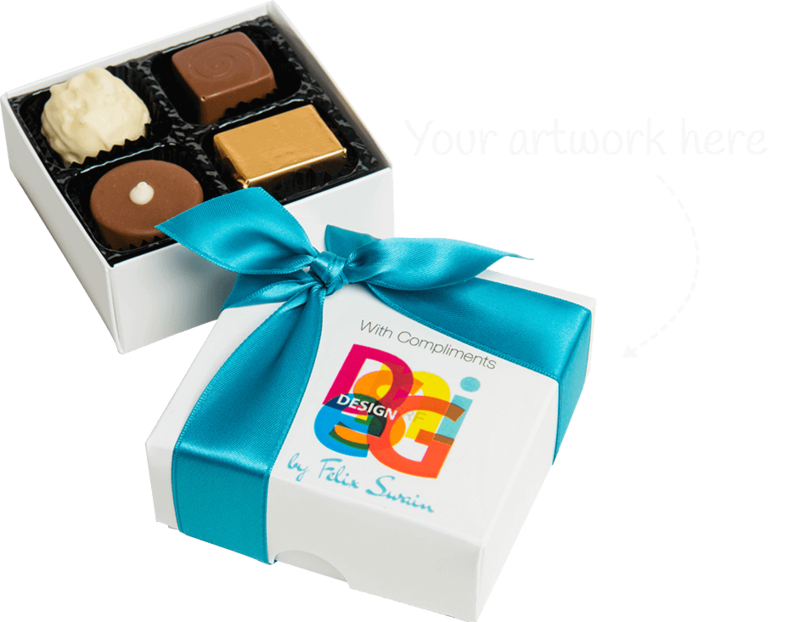 For personalised chocolates, we can create artwork for you or use your supplied design. Supplied artwork is subject to suitability for printing.